Have you been accepted to attend EKU for the Fall 2018 semester? If so, take the next step in your college career and apply to live on campus! 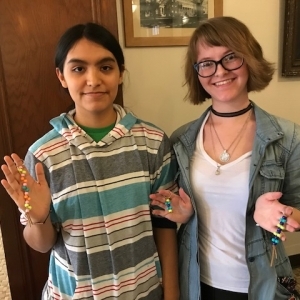 Students were invited to participate in an event hosted by the Inclusive Community Committee on Powell Corner which showcased LGBTQ student experiences in the Commonwealth. Students were then invited to create a keychain representative of their own personal Identity around campus. 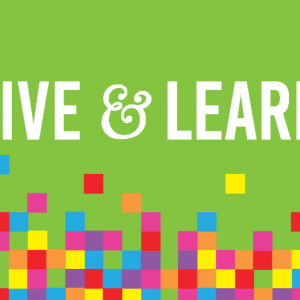 Take a Look at our Living Learning Communities! 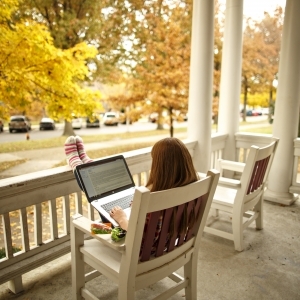 We have a variety of Living Learning Community options for incoming and current students. 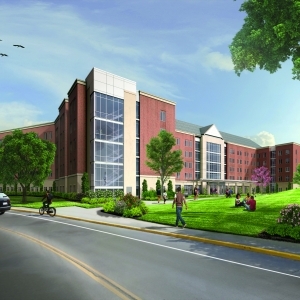 Incoming students may apply for an LLC via their Housing Application. In order to be considered, students must complete their Housing Application and $200 pre-payment by June 16, 2017. 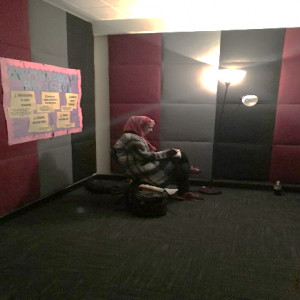 On February 6th- 8th EKU Housing organized and hosted the Tunnel of Oppression in Telford Hall. The Tunnel of Oppression is an interactive theater experience where participants walk through different theaters designed to display oppression of marginalized groups. Throughout "dead week" at EKU, Housing & Residence Life setup a number of Christmas Attractions to promote the Holiday season. 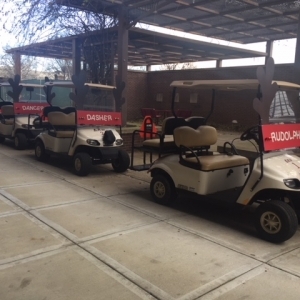 This included a fleet of Reindeer Golf Carts on parade, decorating an office Christmas Tree, and traveling offices on campus while Caroling EKU-centric songs. The $200 non-refundable pre-payment can be paid online during the Dibs process. All students choosing to live within EKU Housing is required to pay this pre-payment before being able to select their room. This pre-payment goes towards the outstanding housing payment that will be due for upcoming Fall semester.